Signup for our newsletter to get notified about latest updates. How to Know if Your Child Has A Sleep Problem? Many parents believe that their child is just a “poor sleeper” and he doesn’t require as much sleep as other children. I don’t think that is really a case. Most of the healthy kids who have no medical or neurological complaints can actually sleep well. So, how to know if your child has a sleep problem? I have noticed that sometimes parents form mistaken beliefs about their children from the very first days of their arrival. For instance, if the newborn was struggling to fall asleep during his first weeks, parents tend to believe that he is just “a poor sleeper” by human nature and nothing else can be done. As a result of this, “poor sleeping babies” turn into “poor sleeping children” and later into “poor sleeping adults”. So, all of this could happen just because of one wrong judgment, allowing children to further develop bad sleeping habits. But, what if there are 2 or even more kids in one family struggling with sleep? 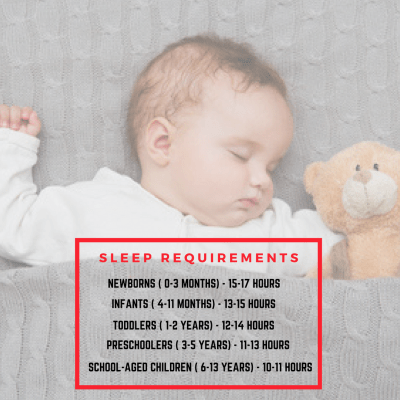 Parents explain this as: “my kids are just poor sleepers” or “they don’t need that much sleep”, which means that if one child has sleep issue, it is acceptable for other children to have it as well. Such thinking only covers the problems and encourages the continuous growth of sleep problems! That is not healthy because everyone will suffer! As a matter of fact, each child is different in his ability to sleep. Some kids can fall asleep quicker and easier and others take much longer to do so. However, most sleep problems and struggles can be resolved and the first step to do that is recognizing the problem. So, How Can You Know if Your Child Has a Sleep Problem? Some sleep problems can be quite obvious while others could be well hidden. The most common sleep issues are easy to detect. 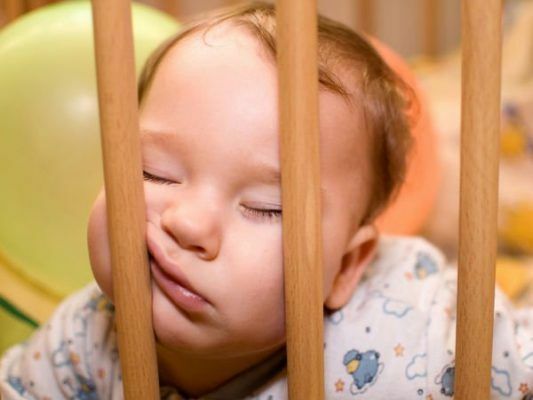 If you notice, that your child needs your or anyone else assistance to fall asleep, he clearly has a sleep problem. Bigger kids usually complain themselves that they can’t sleep. They ask you to be next to them until they fall asleep, shout for you at night or come to you because they need you to be with them, so they could go back to sleep. In other words, they can’t sleep without your existence next to them, which means that “you” are their sleep association and that is a sleep problem. So, frequent difficulty falling asleep, usually waking at night with the struggle to go right back to sleep without any support, waking up too early or too late in the morning, falling asleep too early or too late in the evening are obvious symptoms that your child is having a sleep problem. In order to spot hidden sleep problem, you need to dig a little deeper. You should know that poor sleep affects daytime mood, behavior, and learning. One of the most hidden sleep problems is not getting enough sleep. Each kid has a sleep requirement which must be met. These requirements differ depending on the child’s age. If your three-year-old gets only 8 hours of sleep during the night but functions normally throughout the day, you may think he does not require more sleep. However, if you discover why he sleeps so short and you make suitable changes, he will probably sleep for an hour or two longer every night. If this happens, you will see an improvement in his mood, general behavior, concentration, interest, and learning. You could easily overlook the fact that your child gets too little sleep and that makes him moody, irritable, lazy, fussy or unmotivated. If your kid falls asleep in the school and on the bus every day, you may think that it is because he is bored and unmotivated. In fact, he could be getting not enough sleep. His sleep could be of poor quality or he could even have a disorder, such as a narcolepsy, which doesn’t allow him to stay awake during the day regardless of how much sleep he gets. You may know that your child is snoring every night. You may not realize that a snoring shows difficulty in breathing and that could be a symptom of sickness – sleep apnea. If you have a baby who falls asleep so fast once you start driving your car, it’s a sign that your baby is not getting enough sleep. Similarly, if your 6 months old baby was kept awake for 4 or 5 hours, you will see him screaming because he is overtired. What does that mean? 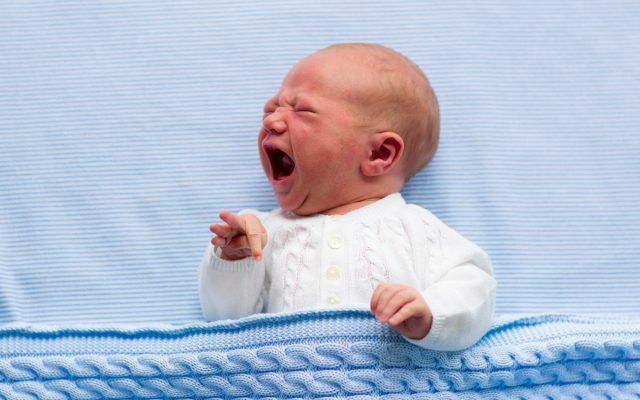 Overtired babies are extremely fussy. They have more difficulty falling asleep and staying asleep. If you have read this and you feel that your child could be having a sleep issue, do not leave and ignore it! Take a step, deal with it and solve it! Remember: Healthy Sleep is Crucial for your Child’s Health, Development, Behavior, and Ability to Learn! Book a FREE 15min Call Now! This entry was posted in Diary and tagged AbuDhabi, babies, babysleep, babysleepconsultantabudhabi, children, Consultation, kingofsleep.net, kingofsleepuae, moms, Parents, poor sleeper, sleep problems, sleepconsultant, sleepimportance, uaebabiessleep, uaesleepconsultant, uaesleepsolutions. My name is Ausra Cirkelyte and I am the founder of “King of Sleep”. I am professionally trained and certified pediatric sleep consultant helping babies, children as well as their parents to get a full night sleep. Is Your Child’s Sleep Problem Caused by Night-time Feedings? Apex Legends DPS on What Happens if Your Child Doesn’t Get Enough Sleep? foloren torium on Why You Shouldn’t Co-Sleep with Your Child? folorentorium on What to Do When Your Child Gets Sick?